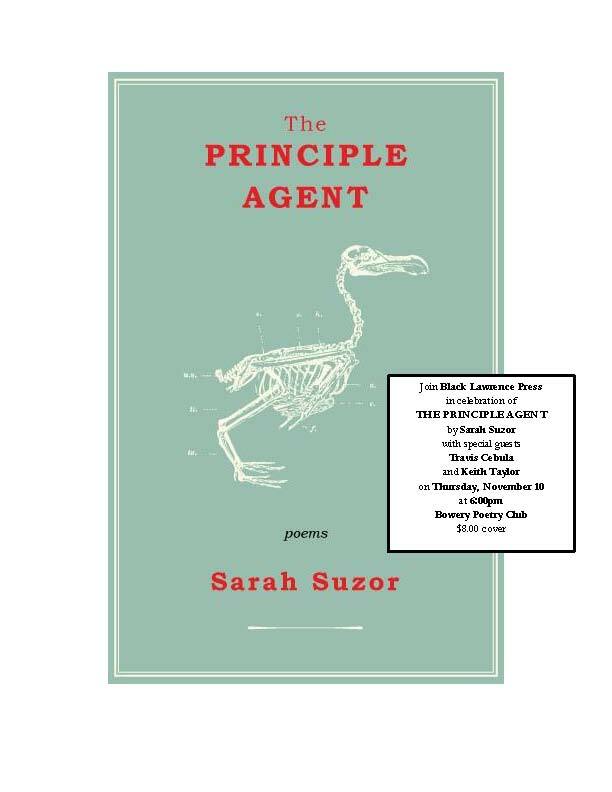 Join BLP in celebration of Hudson Prize-winner Sarah Suzor’s new poetry collection THE PRINCIPLE AGENT! She’ll read at the Bowery Poetry Club with special guests Keith Taylor and Travis Cebula. $8 cover; 6:00pm start. Sarah’s poems have been praised as “agile of intellect, resolute in courage”…don’t miss your chance to see her perform!